Here we come with one more great US ski resort you should consider as a winter destination. The Big Sky Resort in Montana is not only beautiful and well equipped, but since 2013 it is also the largest ski resort in the United States by territory, having 5,800 skiable acres. 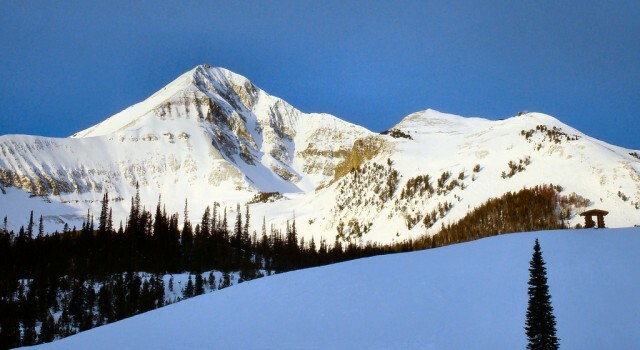 Get to know all the facts and features of this Montana ski resort and if you like it, you can start planning your vacation for this winter. The Big Sky Resort is located in Madison County, Montana, an approximately one hour car drive away from the town of Bozeman. It is south of the town and can be reached on US Highway 191 by car. The nearest domestic airport, Bozeman Yellowstone International Airport (BZN) is about 10 miles away while the nearest international airport, Salt Lake City International Airport (SLC) is as far as 413 miles away. Big Sky Resort is owned and operated by Boyne Resorts, the second largest ski and golf resort owning company in the country. The owner is constantly making investments to improve the services and enlarge the territory of Big Sky Resort. 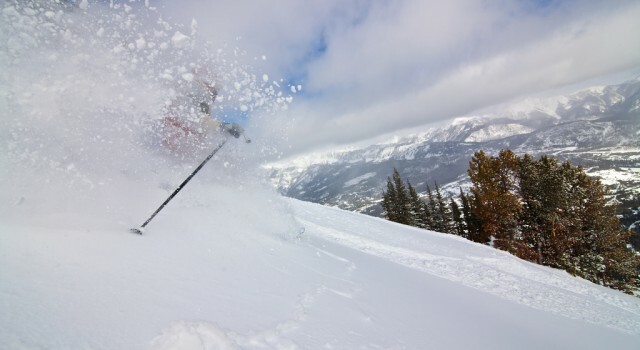 As mentioned above, Big Sky Resort is the largest ski resort in the United States from many aspects. As a start, it has as many as 5,800 skiable acres with a vertical drop of 4,350 feet. Base elevation starts at 6,800 feet, at Lone Moose while the summit is at Lone Peak, at 11,166 feet. 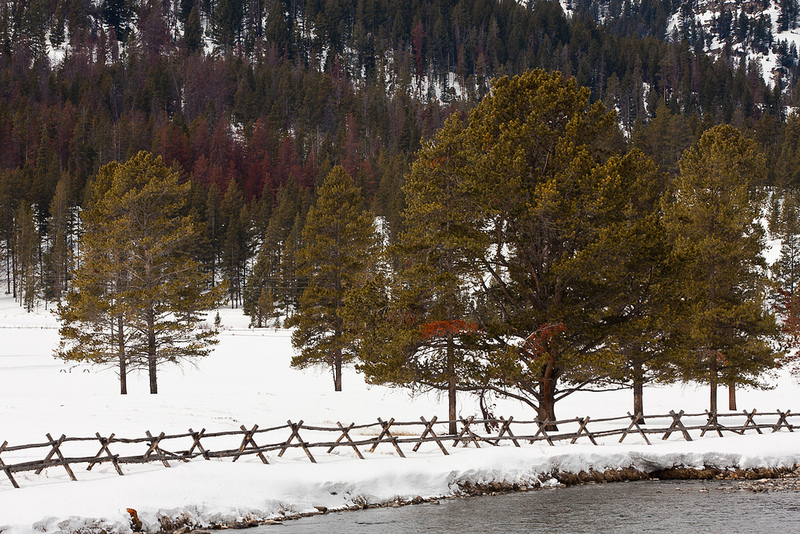 This Montana ski resort is the best of the best. No wonder that only about 10% of the skiable terrain is covered by snowmaking, as the expected snowfall is not less than 400 inches every year! 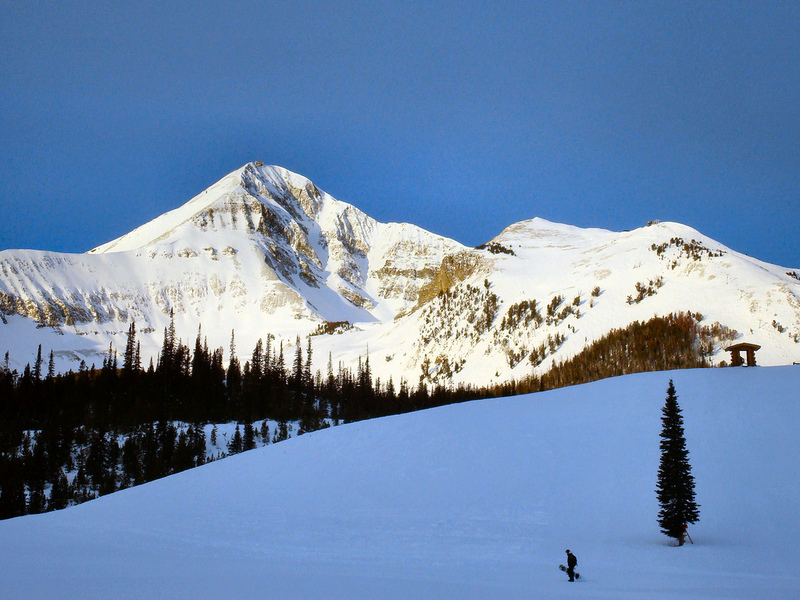 Big Sky has got an incredible amount of 305 ski runs, the longest one is 6 miles (10 km) and is called Liberty Bowl. Some 15% of all the ski runs are great for beginners, about 24% are for intermediate skiers, 43% are especially for advanced skiers, but 18% of the trails are only recommended for experts. Last season the ski trails were open for 140 days in total, but in the 2015 – 2016 winter season it is expected to be 144 days. The operating company is planning to open the resort for skiers on November 28 2015 and it is planned to be open until April 20 2016. Apart from the runs, the ski resort also has six terrain parks for snowboarders and freestyle skiers with lots of exciting features. The 29 lifts that serve Big Sky Resort are open every day between 9 AM and 4 PM during winter season, if the weather permits it. These 29 lifts include a tram, five high speed quads, three quads, six triples, six quads and seven triples. All these lifts are capable of transporting as many as 38,300 skiers up to the peaks in an hour. If you have decided to spend you winter vacation in Montana, at Big Sky Resort, you should start planning your vacation now. 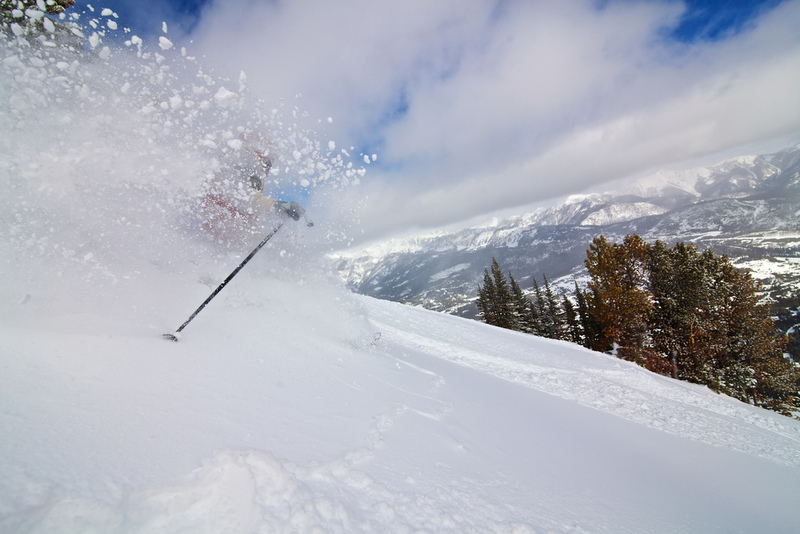 If you buy your lift tickets early, you can save one them! At the moment one day lift tickets start from $53 for children (ages 6 to 10), from $83 for juniors (ages 11 to 17), from $103 for adults (ages 18 to 69) and from $83 for seniors (age 70 and above). Note that prices are the same for weekdays and weekends. 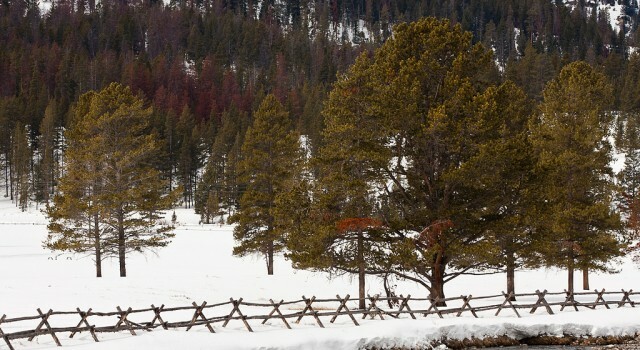 Apart from great and varied skiing and snowboarding experiences, Big Sky Resort offers many other things to do. 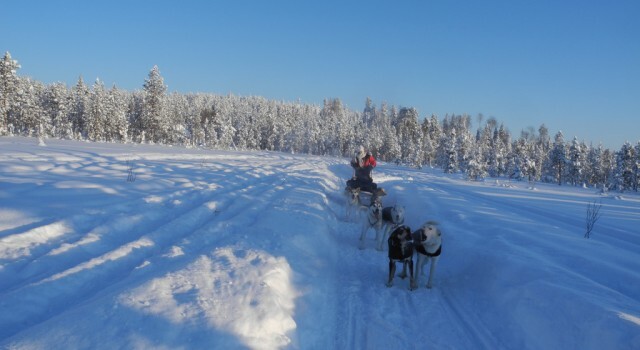 Visitors can go on a snowshoe to explore the nearby mountains, they can book themselves a snowmobile tour to discover the forests and trails and get a little extra adrenaline or get an amazing dog sledding trip on the trails and see what transportation looked like up here before the the technology era. At the center of Big Sky one can even find a rink for hockey and ice skating. 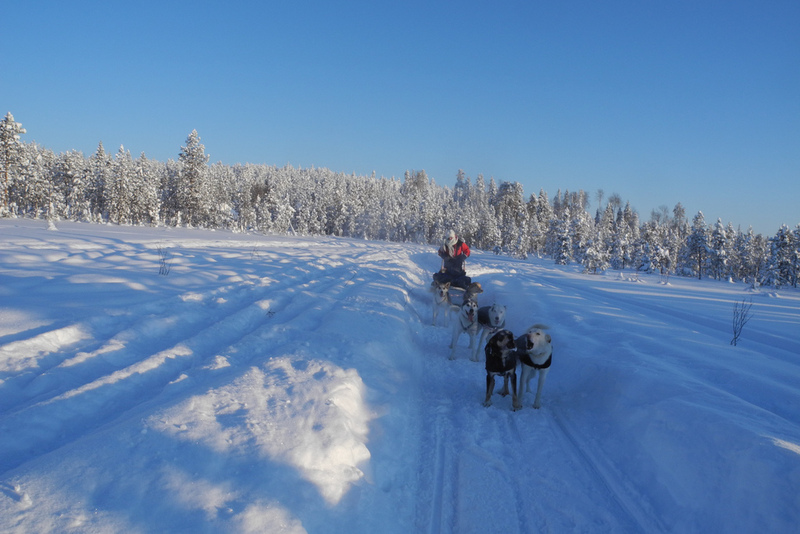 Sledding and tubing on the assigned trails can be a great activity for the whole family but your kids would surely love an organized winter tour to the Yellowstone National Park as well. The ski resort also has a full service spa, ski and snowboard school, winter zip lining courses and lots of other things to do. There are dozens of lodging options for all budget to choose from in the nearby Bozeman as well as in Big Sky Resort. Some of the most popular ones include the Buck’s T-4 Lodge at Big Sky Resort with amazing views and hot breakfast for every guest, The Lodge at Big Sky or which is close to everything and has a very elegant inside with friendly staff. If you want to have an even more authentic feeling, stay in a little cabin at Canyon Cabins, you will feel like you went back in time but brought all the comforts with you. If your budget allows is, you can also stay at the Big EZ Lodge, a luxurious place in rustic style where all your wishes are pleased by the hotel staff. If there are many lodging options at Big Sky Resort, there are a lot more amazing dining options. At the Gallatin Riverhouse Grill you can feel the atmosphere of the Old est while you have a drink in the saloon, have a Texas style rib or taste another American specialty. If you need a quick and delicious snack you should check Black Kettle Burritos on high up on Lone Mountain and taste their burritos and other Mexican and American dishes. If you want something more elegant, don’t miss the great food and wines of Rainbow Ranch Lodge Restaurant right on Gallatin Road. In the box below you can find everything you need to search for the best flights, hotels, vacations and car rentals in the Big Sky Resort area. Choose the dates you have planned for your departure and return and then select some merchants you trust and compare their prices. After that all you have to do is book the cheapest or best value offers.